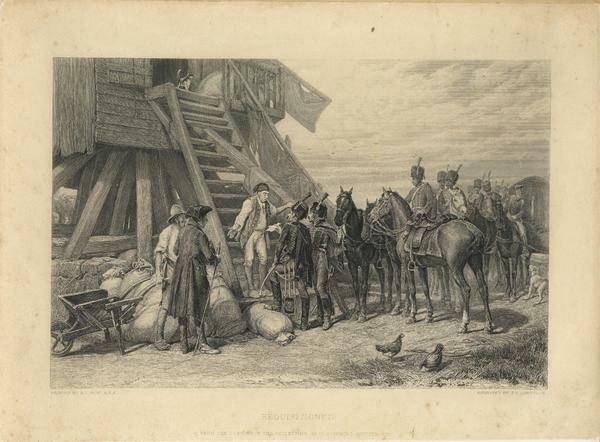 French cavalry requisition a windmill. Painted by Andrew Carrick Gow. From a drawing in the collection of W. Cuthbert Quilter. Engraved by J.C. Armytage.